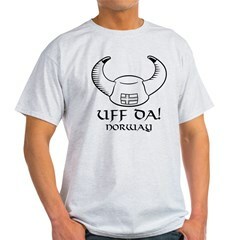 Home > Around the World >	Uff Da! 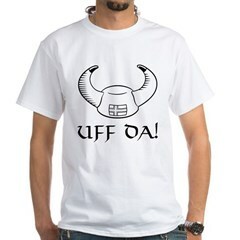 Uff Da! is a phrase of Norwegian origin that is frequently uttered in the upper Midwest of the United States. It means "oops" or "oh no". The expression is used by native Norwegian speakers but with a slightly different connotation. These fun Uff Da! 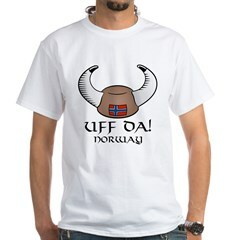 t-shirts make great gifts for someone from Norway or of Norse heritage. Just keep your Norwegian jokes to yourself! 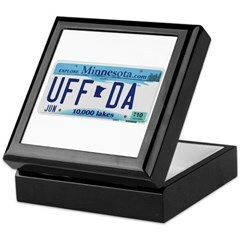 Fun gifts with UFF DA featured on a Minnesota license plate. 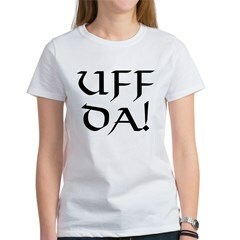 Uff da may be of Norwegian origin, but it's most frequently used by the good people up there in Minnesota (you betcha).